Browse through the testimonials sent by our customers to let us know about their experience with us for their gate service needs. These testimonials would paint a clearer picture of our company and what you can expect when you hire us. 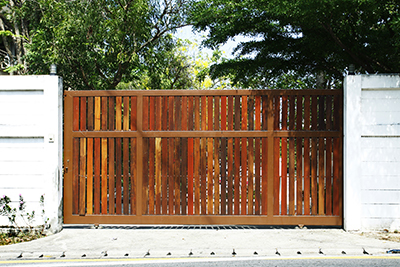 "I had never had a problem with my solid sliding gate before, but all of a sudden, it started shaking. I checked several companies and picked this one because it had excellent reputation online. The technician got here exactly on time as promised. He was quick to identify the cause of the problem, and told me it came from the wheels. He replaced both on the spot, and the gate has been working perfectly ever since. I can definitely recommend Gate Repair Laguna Hills for anyone who has issues with his gate and needs a reliable service provider!" For quite some time I didn’t know what was exactly wrong with my swing gate, until I looked online and contacted Gate Repair Laguna Hills. The company's technician arrived at my home on time as we had agreed; he then diagnosed and found a problem with the hinges and their welding. He fixed the problem at a reasonable cost. The gate is flawlessly stable and reliable since then. Thank you for the great service, I highly recommend this gate company. It was a pleasure working with them.